The coastal, as well as north interior parts of Karnataka, have received good spells of rain on November 18 and 19. At the same time, the south interior pockets of the state observed dry weather conditions. The rains were the consequence of a trough that was extending from North Interior Karnataka to Maharashtra. Moreover, the showers were much needed for North Interior Karnataka as most pockets were undergoing through drought-like conditions. 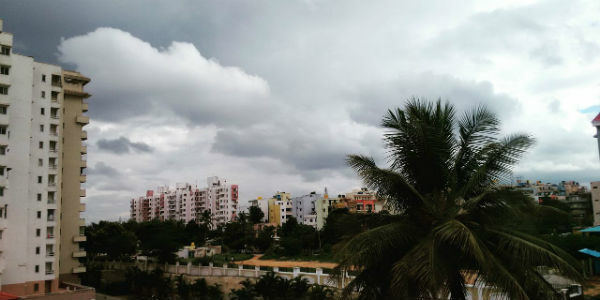 Now as per Skymet Weather, the weather over North Interior Karnataka would once again become dry but the coastal, as well as south interior parts of the state, would witness light to moderate showers during the next two to three days. These rains could be attributed to the well-marked low pressure over Tamil Nadu Coast that is moving gradually in west-northwest direction towards South Interior Karnataka. It is expected that this system would dissipate after reaching the mentioned region. Meanwhile, the city of Bengaluru may too see a few good spells for the next 48 hours but then again we do not expect very heavy falls. The weather is likely to remain pleasant over most parts of Karnataka. Not only this, these showers would also be instrumental in the restoring the soil moisture, which is beneficial for Rabi crops.